Winterbreeze Library is located right in Yew (Trammel) on the Atlantic Shard. The Library was established in 2002, at first located along the shores south of Britain, then on Ice Island and finally in Yew. Winterbreeze is home to the Guilds [Snow] and [SNO*] if you have any Questions feel free to check with one of their Members. I have created a brand new set of Skill training runes that are now life at Winterbreeze Library. Winterbreeze Village is part of the EM Town - Tour tonight !! All the spots been checked and i added a UO Automap Location/label set for Felucca, for those that prefer UO Map. ULTIMA Lore Museum open !!!! Finally after many years the doors are finally open. 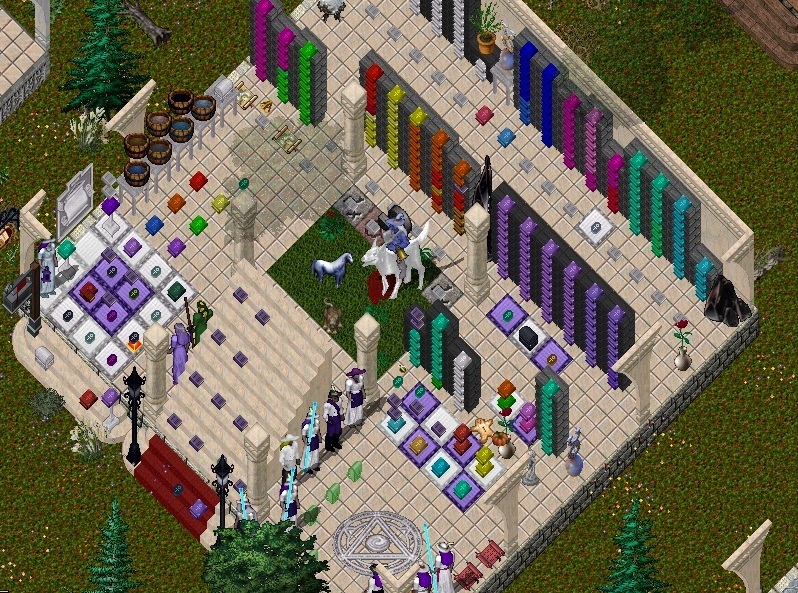 Check out the Ultima Lore Museum in Zento, right next to the Winterbreeze Museum.